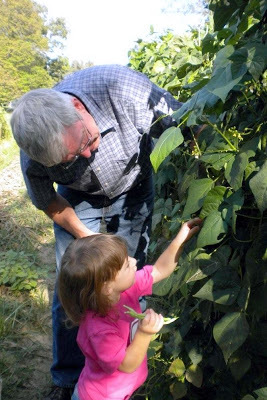 Cate helped GranGran and Granddaddy pick pole beans (aka green beans) the other day while I was catching up with bookkeeping at the office. 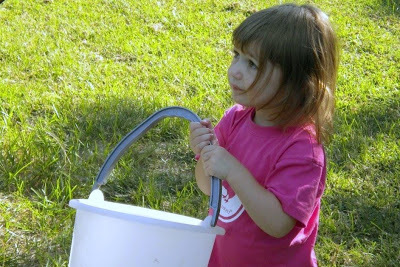 Apparently, she was interested only in holding the bucket at first. 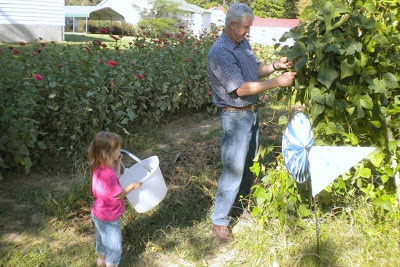 But then the bucket got heavy and Granddaddy showed her what to do. At this rate, she’s going to be a professional gardener. First blackberries, now green beans. And what great grandparents … they even took pictures!